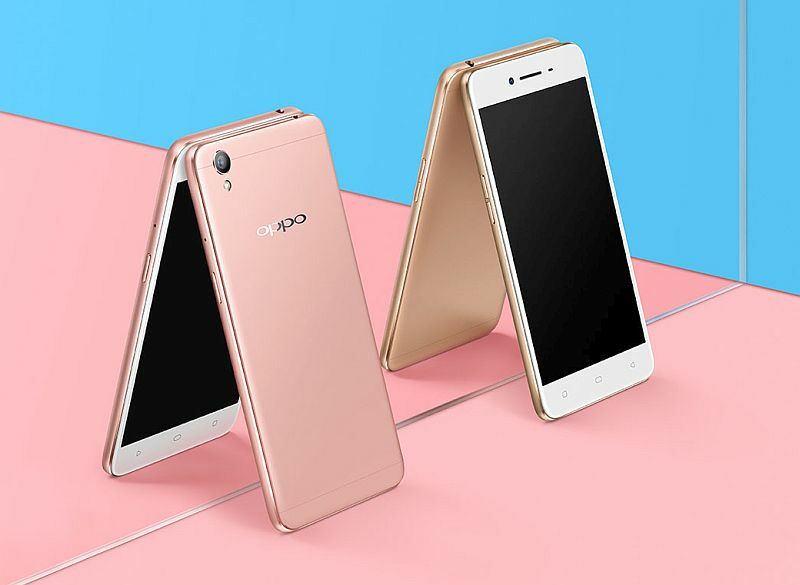 Oppo A37 smartphone has been launched in India shortlyafter going on sale in China. Priced at Rs. 11,990, the Oppo A37 will go on sale in the country starting July 1 and will come in Gold and Grey colours. The Oppo A37 features a 5-inch HD (720×1280 pixels) IPS 2.5D display and comes with a pixel density of 293ppi. It sports Corning Gorilla Glass 4 for protection from scratches. The smartphone runs ColorOS 3.0 based on Android 5.1 Lollipop and comes with dual-SIM support (Micro-SIM + Nano-SIM). Notably, both the SIMs support 4G networks and are compatible with Indian LTE bands. The Oppo A37 supports download speeds of up to 150Mbps on 4G network. Under the hood, the Oppo A37 is powered by an octa-core MediaTek MT6750 processor clocked at 1.5GHz paired with 2GB of RAM and 16GB of storage. The handset supports expandable storage via microSD card (up to 128GB). Connectivity options include GPRS/ EDGE, 3G, 4G, Bluetooth, NFC, Wi-Fi, GPS/ A-GPS, USB-OTG, and Micro-USB. The Oppo listing confirms that the A37 smartphone will support India LTE bands. The Oppo A37 sports an 8-megapixel rear camera with LED flash, BSI sensor, f/2.2 aperture, and full-HD (1080p) video recording capability. There is a 5-megapixel front camera with OmniBSI+ and screen flash features on board as well. The company adds that the smartphone comes preloaded with the Beautify 4.0 technology which supports 7 different levels of intelligent beautification with two modes for different skin tones. It is backed by a 2630mAh non-removable battery. It measures 143.1x71x7.68mm and weighs 136 grams.